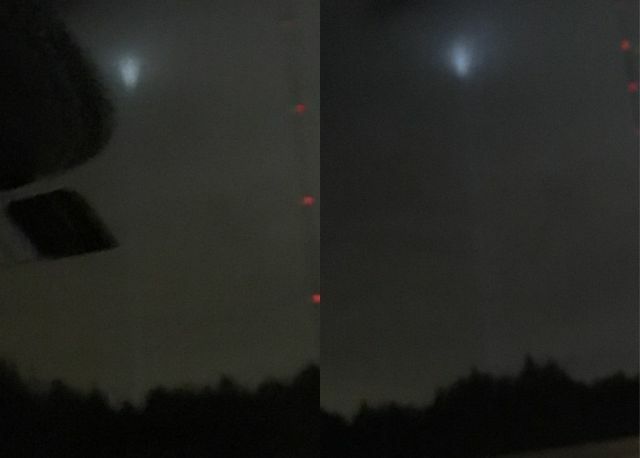 On January 15, 2019 the witness was driving on the highway near Edmond, Oklahoma when he saw a large sphere that appeared above the tree line near power lines and it was beaming something down. The eerie light was so bright he could not see the object but it had a bluefish white beam emitting towards the ground as though it was beaming something down or collecting something. 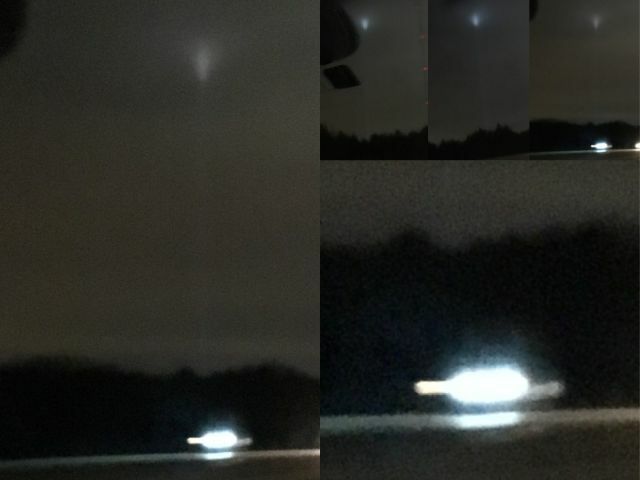 Despite he was moving fast he was able take three images with his iPhone Gs which he has submitted to Mufon for further investigation. Since the incident is very mysterious, we can only guess what the object might be that the driver has photographed. What's that bright saucer shaped object on the ground? Cool pictures,,,or maybe not so cool if they are beaming up humans, thanks to the photographer for sharing on this Blog,,,I seen my first UFO when I was five back in 70's,,,was just like a glowing red sphere traveling thru the cumulus clouds,,,not sure if the UFO's are either "Energy Spheres" or made of steel, I suspect that the "Energy Spheres" are real live advanced technology while the "iron" UFO is probably human technology,,,pls comment,thx!